The merger of the two companies’ tanker fleets under joint management sends ripples across international shipping. A checkmate move that changes the realities and balances in global shipping and international entrepreneurship more broadly was announced hours ago. Capital Product Partners L.P. (CPLP), in which Evangelos Marinakis holds interests, is merging its tanker fleet with DSS Holdings the company in which US Commerce Secretary Wilbur Ross holds interests, thus creating one of the biggest listed tanker companies in the world, in a transaction valued at $1.65bn. The NASDAQ-listed Capital Product Partners (CPLP) is thus concluding one of the most impressive agreements of recent years. It became known that the company is proceeding with the merger of its tanker fleet with the fleet of Diamond S Holdings L.P., creating one of the biggest listed tanker companies in the world, with 68 high-specification tankers. CPLP will provide 22 MR tankers and three Suezmax tankers to a new company, which in turn will merge with Diamond S Shipping. At the same time, it will distribute the common stock of the new company to the shareholders of CPLP. CPLP shareholders will receive a premium of about 11 percent of the net value of the fleet, given the fact that the merger permits Diamond S to be listed on the New York Stock Exchange (NYSE) immediately. It should be noted that Gerasimos Kalogiratos and Gerasimos Ventouris will participate in the new joint company. According to banking and financial sources, the premium is one of the highest paid by a listed shipping company. It should be noted that DSS Holdings L.P., with which Capital Product Partners has reached an agreement, is one of the top shipping companies active in the tankers field, as it manages a total of 31 medium-range tankers and 12 Suezmax oil tankers. Diamond S is owned by WR Ross & Co and other prominent American investors. 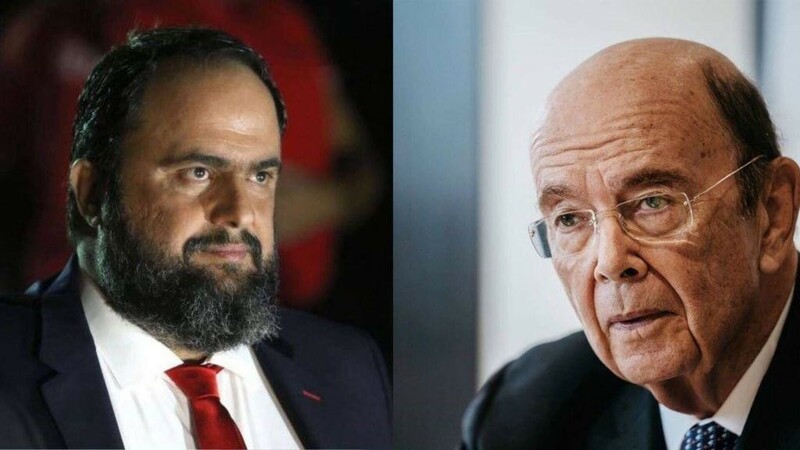 Aside from the importance of the agreement in and of itself, it demonstrates in a resounding manner the respect and recognition that Evangelos Marinakis and his companies enjoy in international stock markets, and of course in shipping. Capital Product Partners, which has been listed on NASDAQ for over a decade, is fully recognised by American financial markets. It should be noted that despite the vicissitudes in shipping markets, the company steadily pays dividends since it was listed, and has one of the strongest balance sheets in the market. For its part, Diamond Shipping, after its merger with CPLP’s tanker fleet, is expected to be the leading enterprise in terms of the purchase of crude oil tankers and refinery products, benefiting from the balanced and wide-ranging ships portfolio, which will be comprised of 68 high-specification tankers with an average age of fewer than eight years. The new company is expected to be listed on the New York Stock Exchange. Upon final conclusion of the agreement, Capital Product Partners will emerge as a company that manages container transport ships and dry bulk cargo ships with an average age of 6.6 years. All its ships will be under medium-term and long-term time-chartering, with a remaining charter time of 5.3 years, bolstering as a result the predictability of cash flows for its shareholders. Capital Product Partners will continue to maintain a strong balance sheet and will be oriented towards growth with the purchase of ships with long-term time charters.